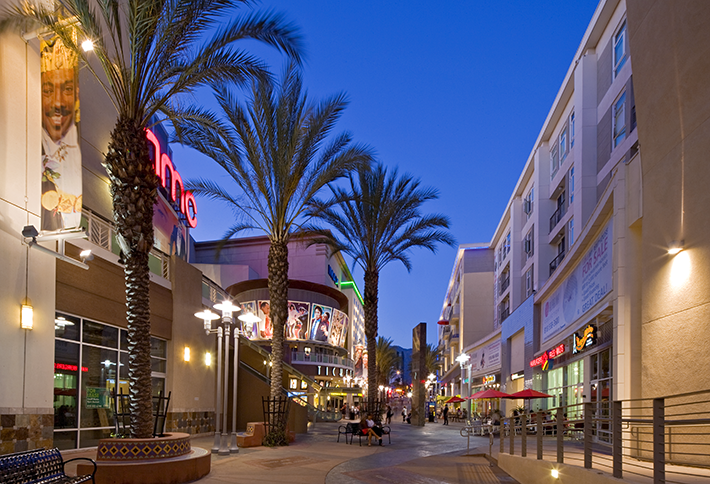 As part of a public-private partnership, Champion Real Estate Company developed the 118 unit, 43,000 square foot retail project on Burbank’s Palm Plaza from 2006—2008. The development includes two levels of retail and restaurants on a sloping site directly across from AMC Burbank. Palm Plaza, formerly a street, was closed by the City to create a pedestrian-friendly plaza in the heart of downtown Burbank. This project completed the Palm Plaza redevelopment. The Burbank Collection consists of three legal parcels: one owned by the HOA of the condominium owners, the 43,000 square feet and commercial parking owned by the developer, and a public parking garage owned by the City of Burbank. Champion constructed a 700 space garage, drafted the governing documents for the operations and maintenance of the development, and conveyed the public parking to the City of Burbank. This project was completed in 2008 and sold in 2012.